This article gives an outline of the historical events that led to the formation of contemporary astroparticle physics. As a starting point for analyzing the history of astroparticle physics this article will review the various, yet scattered pieces of historical work that have been done so far. To make the picture more complete it will then give a brief survey of the most important fields that have played a role in the development of astroparticle physics as we know it today. It will conclude with an overview of the historical questions that are still open and the rich philosophical implications that lie behind those questions. Supplementary material is available for this article at 10.12942/lrr-2008-2. Though modern astroparticle physics dates from as recently as the 1980’s, it is commonly understood that it has a long and complex history. Whereas the first generally acknowledged proof of the existence of cosmic rays by Hess in 1912 is quite well known among historians of science and (astroparticle) physicists alike, very few members of either discipline have so far paid much attention to the fact that this “discovery” was neither a solitary event in its own historical context, nor one whose connection to the development of modern astroparticle physics has been elucidated so far. Nor has it been clarified how early developments in cosmic-ray studies are actually related to the fields of “particle physics, cosmology and astrophysics” , which supposedly form the basis for astroparticle physics. These topics are also at the heart of the agenda of the ApPEC (Astroparticle European Coordination)  and its succeeding organization, the ASPERA (Astroparticle European Cooperation Eranet) : European networks for the advancement of astroparticle physics (see Section 5.2). In a 2008 status list from ASPERA, more than 70 experiments that collaborate on an international basis with up to 65 institutions involved and up to a few hundred authors each were mentioned. All the experiments described there could be grouped into the aforementioned topics (see Table 1). Yet the problem remains: What exactly IS astroparticle physics? As we will see in Section 5.2, there is a considerable discrepancy between the fact that on the one hand astroparticle physics meets more or less all the demands for a scientific discipline, on the other hand even most recent publications call astroparticle physics an ‘interdisciplinary area’  or ‘young field’ . In the following sections, I will therefore not hesitate to use ‘discipline’, ‘sub-discipline’ or ‘field’ as equivalent terms for astroparticle physics, leaving the decision whether or not this might be correct  to a later discussion (see Section 5.2). At the moment we might introduce the following simplifying working definition of astroparticle physics: Astroparticle physics is an interdisciplinary field lying between particle physics and cosmology that attempts to reveal the nature and structure of matter in the universe. It evolved from various other fields, the most commonly agreed upon being early cosmic-ray studies. The question remains, as Stanev put it for cosmic-ray research: “Where does the cosmic ray field belong?” giving the answer “A better definition than an outline of its history and its ever-changing priorities is hardly possible.” (, page 3) This historical approach will be helpful in determining the character of astroparticle physics. Therefore, as a first step, this article will review all previous historical work and will then specify those questions that are still open. There are many different types of radiation that are of concern in modern astroparticle physics (see above). 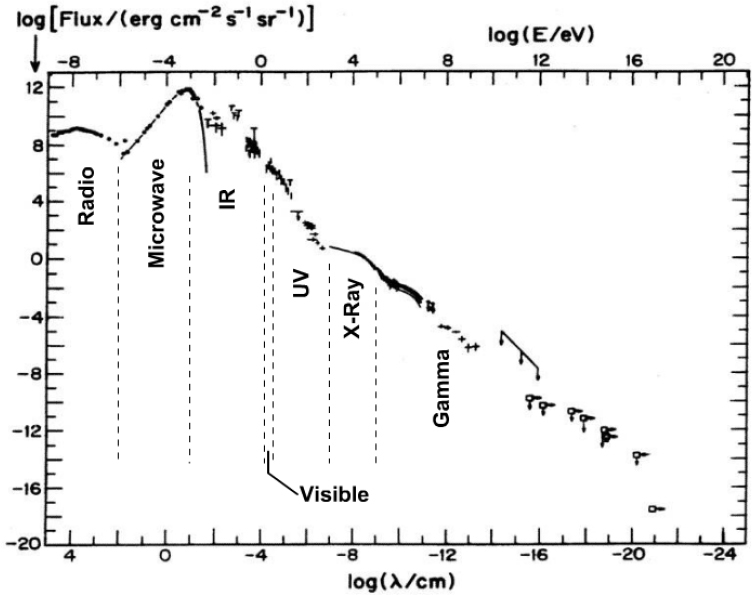 Looking at the spectrum of light (see Figure 1), we see that it consists of gamma-rays, x-rays, UV light, visible light, infrared light, microwaves and radio emissions. Each of these kinds of radiation was discovered separately , and some are traditionally an integrative part of other scientific disciplines, e.g. radio astronomy is important for astrophysics. Similarly the spectra of charged cosmic particles or neutrinos is important for modern astroparticle physics. We can divide these spectra not only by energy level, but also by detection method, thus providing a guideline for writing the history of astroparticle physics. When in 1987 physicists from the fields of “particle physics, cosmology and astrophysics”  met at the “First International School on Astroparticle Physics”, thus laying the foundation for modern astroparticle physics, all these different historical “threads” became interwoven again. But how this happened, what mechanism made this possible (and even necessary) has not been analyzed by either historians or by philosophers of science so far, though this might help to solve the aforementioned problem of the scientific standing of astroparticle physics, as well as the problem of defining the actual contents of this field. So, how to narrow down this broad range of aspects that are all incorporated into one field? A good starting point, preferred by many of the physicists that are familiar with the origins of astroparticle physics, is the “discovery” of cosmic rays by Hess in 1911/12. Apart from the fact that this event is not the sole discovery of one single scientist, as will be shown in Section 2 of this article, the history of astroparticle physics has some more components worth casting an eye on. In order not to bias the historical findings with our present-day knowledge of this scientific field, I will proceed chronologically first, showing the major developments in the history of the various segments that are the contents of present-day astroparticle physics. But I will only touch on those aspects that may be interesting in a historical sense and will try not to go too deep into scientific detail. In addition, I will follow the time table (see Table 2) Brown and Hoddeson developed for their review of the beginnings of particle physics , which also touches on some aspects of cosmic-ray physics. “Atmospheric electricity” during calm weather; conductivity of air measured by electrometers; connection with radioactivity of earth and atmosphere; interest was also geophysical and meteorological. Balloons carrying observers with electrometers measured the altitude dependence of ionization and showed that there is an ionization radiation that comes from above; these measurements began in 1909 and continued (at intervals) to about 1930, in the atmosphere, under water, earth, etc. ; the primaries were assumed to be high-energy photons from outer space; search for diurnal and annual intensity variations; study of energy inhomogeneity. Observation of particle tracks in photographic emulsion; discovery of pion and pion-muon-electron decay chain; nuclear capture of negative pions; observation of cosmic-ray primary protons and fast nuclei; extensive air showers; discovery of the strange particles; the strangeness quantum number. Even now the highest-energy particles are in cosmic rays, but such particles are rare; studies made with rockets and earth satellites; primary energy spectrum, isotopic composition; x-ray and γ-ray astronomy; galactic and extragalactic magnetic fields. a In successive periods, at least one change occurred that was so significant that it required a totally new interpretation of the previous observations and theories. Section 3 will deal with the major developments of early cosmic-ray studies. It will provide an overview of well-known events like the “discovery” of cosmic rays by Hess and will put them into context. It will then give a very short summary of the most important technical advances and what role they played for further developments, especially in the early phase of cosmic-ray studies, but also for the emergence of new fields, like particle physics. Section 4 will deal with the events after World War II, a time that is usually referred to as the downfall of cosmic ray studies and the heyday of high-energy-physics with man-made accelerators. In those years other fields and disciplines emerged or gained importance, parts of which had and still have an influence on astroparticle physics. Section 4 will summarize the scientific progress made in those fields and briefly describe their connection to astroparticle physics. Section 5 will cast light on the beginnings of astroparticle physics, as we know it today. Besides bringing together the known facts about the “founding act” and the attempt to explain how it came about, this chapter will deal with the problem of the scientific standing of astroparticle physics. Finally, in Section 6, the open questions concerning the history of astroparticle physics — for this article will certainly find more open questions than answers to them — and the philosophical implications that follow from them, will be shortly discussed. It is generally held that Hess “discovered” cosmic rays in 1911 and 1912 and thus laid the foundation for modern astroparticle physics. But neither did he happen to stumble upon the phenomenon by mere coincidence, nor did he invest only one year of work into it. Quite on the contrary, his famous article about the “penetrating rays”  is the result of a rather long period of research, as will be shown in the following paragraphs. Besides, even after the publication of his famous balloon experiments, his evidence for the cosmic origin of “penetrating rays” was far from being generally accepted. The early times of cosmic-ray studies have been partly examined in different books that are mainly concerned with either (the history of) particle physics or astrophysics. Due to a lack of more specific literature about the different stages of cosmic-ray studies or even astroparticle physics, the following paragraphs will give a brief survey of the disparate parts that form the current state of research on the topic. Of course, there is a huge amount of material from a scientific point of view, but it will be not listed here, as this would exceed the idea of a brief survey of the historical or at least historically-oriented literature by far. As already indicated above, there are numerous aspects of (early) cosmic-ray research that have been examined so far, yet they form no uniform approach to the topic. Rather, those individual parts are dispersed over not only different works, but also over different disciplines. There are historical papers on technical aspects of particle physics, next to autobiographical notes from famous physicists involved in the field of cosmic rays. There are also physics textbooks that touch on some historical aspects and even philosophical works that take examples from cosmic-ray studies in order to illustrate problems of the philosophy of physics. Yet the problem remains that these books either treat cosmic-ray studies or astroparticle physics as one example, while the thematic emphasis lies on some different point or they have a mere scientific standpoint, sometimes lightened up by a few biographical anecdotes. But all this cannot substitute methodical historical work on the development of astroparticle physics. One of the major questions such a historical analysis would have to answer would be how the different fields developed and how they came to influence particle physics, astrophysics and of course astroparticle physics. The following paragraph will try to piece together the various smaller parts that have been written so far, in order to create a more profound overview of the state of research, no matter how narrow it might be. Maybe the one or the other contribution will be omitted, yet the overall image of a puzzle being by no means complete yet, will become clear. One of the first to deal with a chronology of cosmic-ray studies is a paper by Ginzburg from 1967 . Giving a short overview of the major developments in the field of cosmic-ray studies, he stresses the importance cosmic-ray studies had and have on particle physics and astrophysics. A few years later, in 1972, Hillas’  work was to become one of the first authoritative books on the topic. 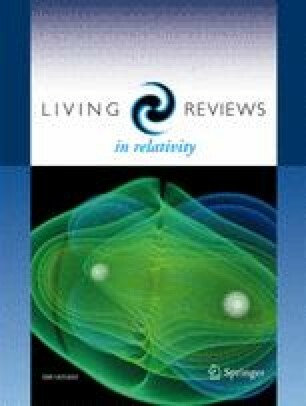 Still, this survey of the progress of cosmic-ray research from Hess on to the discovery of new particles and their properties to the x-ray sources in our galaxy, which was one of the fundamental questions at that time, is mainly a scientific textbook with little emphasis on historical questions. The 1970s witnessed other such textbooks and sourcebooks that also touched on problems of cosmic-ray physics, like the comprehensive one by Gingrich and Lang  from 1979, that, though being concerned with astrophysics and astronomy, also cites many publications about cosmic rays. In the 1980s, works that also mentioned aspects of cosmic-ray studies had a more articulate historical ambition. One of the first being Segrè’s  book, which deals with the most important milestones in the development of particle physics and the most prominent physicists involved; he gives a first broad view of the incidents of the years 1932 and 1936, which were decisive for the postulation and discovery of previously unknown elementary particles. The works edited by Brown and Hoddeson in 1983 and 1989 [34, 33] also stick to the field of the history of particle physics, cosmic rays being just mentioned as a sort of “toolbox”. Interestingly they clearly stress the scientific content, rather than the historical. In 1985 the book “Early History of Cosmic Ray Studies”  was the first and so far only one that intended to give a complete historical survey of the development of this field. This book covers a broad range of topics in time, as well as in scientific detail, though the majority of the articles in it have a clearly autobiographical viewpoint. Beginning with the earliest history of the confirmation of the existence of cosmic rays, mainly the work on the different phenomena of radioactivity and electricity, which led to the discovery of the residual ionization effect , the book concentrates very much on the various contributions of cosmic-ray research to early particle physics. The first photographic evidence for the particle nature of cosmic rays in the form of a particle track in a cloud chamber, the postulation and discovery of new particles and the successful work on the properties of such particles [200, 15, 3, 53, 172] are just a few examples of the different stages of development covered. Another section is dedicated to the improvement of technical and experimental equipment, as in the case of measuring devices for unmanned balloon flights . These had to be optimized in order to reach the stratosphere with the balloon-borne experiments and laid the foundation for satellite-borne experiments. Though a rather complete overview of early cosmic-ray studies, the book also has its shortcomings. Primarily that it is mainly based on “personal reminiscences”, as the title indicates . Without discussing the problems of objectivity in historiography at this point, it seems to be quite obvious that a collection of autobiographical articles by the physicists that have been involved in most of the events being described is less objective than an analysis of the facts by historians of science. Another critical point is the strong emphasis on the major scientific events, that neglects to a certain degree the interrelations between the various stages of development. Besides, as the work was edited a few years before modern astroparticle physics was established , “Early History of Cosmic Ray Studies”  often conveys the feeling that the era of cosmic-ray studies is finally over, an impression enhanced by the biographical air of the articles. Another book that gives a profound, though incomplete, survey of the discovery of cosmic rays, as well as the different scientific aspects that make up today’s astroparticle physics is Longair’s history of cosmology and astrophysics  from 2006. Though it is just one chapter in the book, the interesting point lies in the fact that here the connection between cosmic-ray studies and its neighboring fields is discussed. General works on the history of physics, like the one by Schreier  or the very broad one by Simonyi  about the cultural history of physics, often neglect cosmic-ray studies, not to mention astroparticle physics, as a rather young field of study. Sometimes it is even reduced to the short mentioning of Hess’ discovery of cosmic rays as the basis for particle physics. The same holds true for those works that go deeply into the social or structural contexts of scientific research in the early 20th century, like the edition by Krige and Pestre  from 1997. Its articles touch on various aspects of nuclear and particle physics, still it does not deal with cosmic-ray studies or astroparticle physics. One should not forget to mention that there are a number of biographies that have been written about physicists involved in cosmic-ray studies [19, 119]. But as they deal mainly with one outstanding personality, they are not very fruitful sources for research on historical developments in cosmic-ray studies in more general terms. The biography of Millikan is to some degree an exception, as it does also try to have a look at the institutional frame of his work, i.e. the role Millikan played in the establishing of the Caltech Institute. Of course there have also been written many different articles and books concerning the history of (experimental) physics, but to cite all of them would lead too far astray from the contents of this article. But one should mention that there are a number of works that have linked aspects of history and philosophy of science successfully . One example on which one might model future work about the history of astroparticle physics, Hentschel  has shown for astrophysics, more precisely the research on the phenomenon of the solar redshift, how rich such a topic can be when examined from an historical and philosophical view at the same time. There are also various other books and articles that analyze cosmic-ray studies and their role concerning early particle physics. Especially more profound historical studies on the discovery of electricity or the early times of nuclear physics and there meaning for the upcoming field of particle physics, like the collection on the history of the electron, edited by Buchwald  in 2001 or Dahl’s work on cathode rays , do merely touch on the topic of cosmic rays. One could go on mentioning those works that go into details about the philosophical implications of early particle physics and the role cosmic-ray studies played in its development , but the depth of some of those philosophical analyses seem only to emphasize the need for more fundamental historical research. Working with cathode rays, Röntgen observed x-rays in 1895. He made his results accessible to the public shortly thereafter, putting special emphasis on the medical usage of his discovery. In a remarkably short time a number of further research projects involving x-rays — outside the field of medicine — were launched: For example, Becquerel, inspired by Röntgen’s findings, discovered radioactivity just one year later. And thus the founding stone had been laid for more and deeper experiments into the nature of radioactive materials , though of course we know today that there are other sources of x-rays as well. Almost simultaneously the concept of the electron had been experimentally confirmed by Thomson [49, 136, 36]. The term itself being as old as the Greek philosophers’ study of the phenomena of natural electricity, in that case static charging, it had become a focus of interest for 19th century physicists. Even though x-rays were discovered in the course of investigating cathode rays , the phenomenon of electricity was to become an important scientific matter of its own. Yet, on the other hand, the question of the nature of the electron is of course strongly linked with the key questions that were later to become quantum mechanics — how do we describe properly the elementary components of matter — as well as those of particle physics. Research from the different fields of physics was very often all mingled into one, often depending on the biographical background of the physicists themselves. While the Curies were very determined to follow one line of research, working in a laboratory of their own , others, like Elster and Geitel, were still focusing their work on numerous phenomena from radioactivity to physics of the atmosphere to discharge in enclosed vessels . Today one would maybe praise their approach as interdisciplinary, yet, it makes it more difficult to classify the first steps that later led to the discovery of cosmic rays, according to disciplines or fields. That might be the reason that sometimes the various contributions that made Hess conduct his experiments, are more or less ignored. From the initial points described above, experimental work led to the problem of ionization of air. Though air is a good isolator, experiments with a gold-leaf electroscope showed that beta-rays and other similar rays are able to ionize air [59, 75, 223]. Nevertheless, the discovery of radioactivity was not the only reason the phenomenon of ionization was being examined. It appears rather as if it was fostered by a field that had been popular at least since the 18th century, the study of discharge in gases. It seems to have formed the counterpart to experiments with vacuum tubes, like those Röntgen was occupied with when making his discovery . The ionization effect, Sekido  suggests the term “dark current”, had been recognized before by Coulomb, when he tried to observe and describe the phenomena of electricity and magnetism. Yet it is doubtful that he had already “discovered” this effect, as Sekido put it, for Coulomb considered the discharge of his instrument that he witnessed to be the measuring error of his set-up . In 1900 Elster and Geitel [75, 59], as well as Wilson , found out independently from each other that even without a source of ionizing rays like radioactive dust in the sample of air or contamination of the material the electroscope or its casing, some residual effect can still be noticed: Electrified bodies lose their charge when exposed to the air. These findings gave way to investigations into the cause of the phenomenon, aiming at the understanding of the origin of those free ions in air. Very early the possibility of the ions being of cosmic origin was obviously heatedly debated, for in 1909 we find an article that mentions the cosmic aspect as being one alternative out of three. The author suggests that the ions might be coming from the sun. Finally, he turns the idea down in favor of the hypothesis that they are produced in the Earth’s mantle . The article also hints at various experiments with manned balloons, though they were of no significant outcome. The article is not very specific about the nature of the experiments conducted during those flights, but as it mentions experiments on the ground and in water that made use of electroscopes, it might be safe to assume that they were also taken on the flights. When in 1911 Hess started several balloon flights, taking an electroscope on board, he expected that due to the balloon’s height, the effect of the “penetrating rays”, which he supposed to be a kind of gamma-ray, would be minimized because of the greater distance to probable sources of natural radiation on the ground. Some others, having had the same idea, had already conducted experiments with electroscopes at an even greater height, like Wulf and Gockel , but their findings had not brought about convincing evidence for this hypothesis, nor for its contradiction. So when Hess went on his first balloon experiment, he was looking for the final proof of a lower ionization effect at greater height. But instead he saw that the effect did not decrease significantly. Therefore he decided to carry out further flights to collect more data to analyze the phenomenon properly . So in 1912, Hess set out on several more flights, which astonishingly even showed an increase in the number of pairs of free ions after he had reached a certain height. From that Hess concluded that the penetrating rays might be of cosmic origin, but though a similar flight experiment by Kohlhörster in 1913  at a more extreme height seemed to prove the idea, doubts remained for a couple of years. With the outbreak of World War I research topics had changed their focus away from fundamental research, but after the war, interest turned again towards radiation phenomena, after a book by Nernst in 1921 had proposed the idea that penetrating rays could be understood as emissions from decaying stars . But, against that argument ran the notion to interpret the measured increase of ionization as a problem of electrostatic charging. Nevertheless, evidence grew that the cosmic rays not only existed, but also consisted of (charged) particles. Millikan especially devoted a great part of his work to this problem. 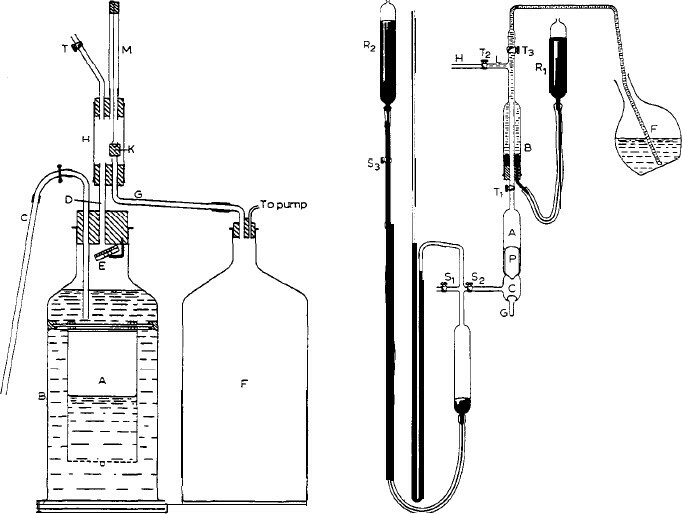 By sinking sealed electroscopes into deep waters (a type of experiment that had been conducted by Kohlhöorster already in 1913 , see Section 3.1) he found that the number of ions decreased in the water. Besides, he made the observation that at high altitude the number of pairs of ions, which were supposed to be produced by cosmic rays rose. So in 1926, he felt safe to say that he had “quite unambiguous evidence for the existence of very hard ethereal rays of cosmic origin entering the earth uniformly from all directions” . Finally, in 1927, Skobeltzyn happened to photograph a track of cosmic radiation when experimenting with tracks of gamma-rays in a cloud chamber. He recognized that on some of the photos he had taken there were tracks that could not be related in any way to his experimental set-up. He interpreted them as tracks of very fast beta particles relying on a paper by Bohr he had read : Tracks from cosmic rays had been photographed for the first time. The cloud chamber, invented by Wilson, made the tracks of particles visible by means of condensing water vapor. Those tracks could be photographed and analyzed, which led to the aforementioned discovery of tracks from cosmic rays. Wilson invented the chamber when working on the condensation of super-saturated water vapor shortly before 1900 . Those experiments would later lead him to the discovery of the residual effect, mentioned before. That is most interesting, for it means that the first witnessing of this effect and thus, as a consequence, the first time tracks of cosmic rays — though at that point not yet being recognized as such — had been witnessed, is identical to the invention of the cloud chamber. This coincidence becomes important when considering the interdependence of experiment and theory as philosophers of science do (see Figure 2). After the chamber was thoroughly revised in 1911 it became an important device for making atoms and their tracks visible . Wilson was awarded one half of the Nobel Prize for Physics in 1927 for the invention of the chamber — the other half being awarded to Compton, for the discovery of the effect named after him. From at least 1920 onwards the use of the chamber seems to have played a most decisive part in the further developments of cosmic-ray physics, especially when the chamber was placed in a magnetic field. For in 1927 this experimental set-up enabled Skobeltzyn  to take the first photographs of cosmic particle tracks in the Wilson cloud chamber. Even after World War II the cloud chamber remained important for detecting new particles, namely for the search for strange particles, also called V-particles, due to their V-shaped tracks, in the 1940s and 1950s . After the detection of the first strange particles by the means of conventional cloud chambers in 1947, two decisive refinements of the method fostered further progress in this field. The first was the penetrating-shower selection. Making use of coincidence-counters (see Section 3.2) and layers of lead, this method helped to tell showers produced in interactions of nuclei apart from more common showers like electron-induced ones . Another device being used was the counter-controlled cloud chamber, which enabled physicists to shut out the background when seeing an event, for the event itself would trigger the chamber. Counter control also provided time information and thus made it possible to observe the decay of particles with neutral current, which other experiments could not separate from nuclear interactions . 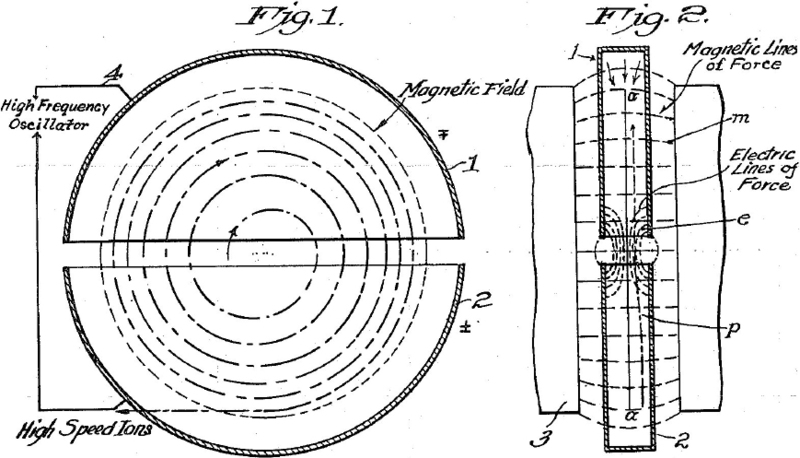 In 1938, Auger and his group were able to show that the radiation at sea level is almost entirely due to the collision or the decay of these particles, then uniformly called “mesotrons” . In 1939, he proved his hypothesis that the showers were not only produced locally in the lower atmosphere. By means of measuring long-distance coincidences at high altitude he demonstrated that there are interactions of primary particles in the high atmosphere. For his study of the showers, Auger also used the Wilson chamber, at sea level as well as in high altitude laboratories . The fact that, in a textbook by Geiger published in 1940 this idea of particle showers was already presented as commonly acknowledged by physicists might serve as good evidence for the immediate acceptance of Auger’s findings . From that basis scientific work focused on the more complex phenomena of cosmic-ray physics. One of the most important aspects was the discovery of new elementary particles for which cosmic radiation became a rather fruitful field. Though in the early 1930s there were already particle accelerators that did work it was not until the 1950s that they managed to compete with the success of cosmic-ray studies in detecting new particles [165, 136]. In 1932, however, a great number of particles were discovered. The first half of 1932 saw Chadwick, basing his work on the earlier findings of the Joliots, discover the neutron; deuterium was also discovered. Later that year the positron was discovered via cosmic-ray physics. [165, 192]. Working with a cloud chamber in a magnetic field, Anderson came across strange tracks of particles that could not have been caused by his experimental setup and that resembled those of the electron, but were obviously of positive charge. The new particle was later called a positron. Dirac had already predicted such a particle theoretically, but though Anderson knew this theory, he discovered the particle by mere coincidence, not aiming to find evidence for the theory with his experiment . Several other physicists had already photographed positron tracks, but none of them concluded that these traces were related to the predicted new particle. The case of the discovery of the positron is a good example for the sometimes complicated relationship of experiment and theory in cosmic-ray studies and later astroparticle physics. The general assumption that the experiment either proves or falsifies the theory or that the theory builds the basis for experimental work seems not to hold true in many cases of cosmic-ray studies. It appears rather as if different experimental and theoretical aspects taken together formed the crucial new information. Though investigations into the role of experiments in the natural sciences is not rare, further work needs to be done concerning the special case of cosmic-ray studies and its successor, astroparticle physics. Undoubtedly the study of cosmic radiation, in experiment and theory alike, can be understood as the basis of high-energy physics (HEP) and particle physics. This point of view is further backed by the fact that publications from the 1940s — like Fermi’s famous article  on the acceleration principle of nuclei in cosmic rays — show the immediate link between these two fields of research. Though scientists were already making use of particle accelerators , the 1940s and 1950s still saw a number of important results to do with new particles and the properties of known particles made by experiments with cosmic rays [183, 170]. The apparati being used were mainly cloud chambers, sometimes in conjunction with magnetic fields, the counter-control method, and the emulsion technique (see Section 3.5). Another such entanglement of astroparticle and particle physics that mirrored the growing tendency towards favoring the latter was the first steps of the discovery of pions and muons. In 1935, Yukawa had speculated about the characteristics of quanta in the field of nuclear forces. In his calculations he found there must be an unknown particle with a mass of about 200 times the mass of an electron. In 1936, Anderson and other cosmic-ray physicists found new particles they called mesotrons, that shared many properties of the particle predicted by Yukawa, but as it turned out, were not identical . For in 1938, Heisenberg and Euler made a calculation that explained perfectly well the properties of the particle found by Anderson, yet the mass they calculated was not the same as that Yukawa had calculated . Most interestingly, long before Yukawa’s prediction “mesotrons” had been experimentally discovered by the German physicist, Kunze, in Rostock in 1933 . But his results did not arouse as much attention as the later ones. Since war broke out and stopped further cooperation between Germany, Japan and other nations, it took until after the war to establish experimentally that the mesotron, which Heisenberg and Euler had predicted, was the product of the particle decay of Yukawa’s particle. The latter were called pions by then, the former muons . At this juncture one should note that many early developments of cosmic-ray studies and particle physics have been achieved independently by Western and Eastern (mainly Japanese) scientists alike. This correlation has not been the topic of more detailed research so far. Röontgen may never have come across x-rays had he not been in the lucky position of having a very good vacuum tube at hand. As historians point out, the production of a vacuum was a very intricate matter and therefore the quality of the vacuum produced was one way to evaluate the quality of laboratory in the 19th century . But in the case of cosmic-ray studies, numerous technical improvements played a decisive role in the progress of experimental know how. In some cases, the new developments mark the transition between cosmic-ray studies and new fields, like particle physics. The first and probably most important instrument was invented by Wulf in 1909. It consisted of an airtight cylinder containing a two-fiber electrometer [227, 172]. Its greatest advantage was that it was easily portable and therefore could ideally be taken to great heights for the observation of penetrating rays. As a further development of the conventional ionization chamber, the high-pressure ionization chamber was able to multiply the effect of the ionization measured in the conventional apparatus about fifty times. Kohlhörster modified the apparatus, laying special emphasis on more reliable air-tightness. Another aspect he approached was the change of temperature; since his balloon-carried experiments reached up to 6300 m, the great cold endangered the reliability of the instruments. Finally he also dealt with the question of what effect different pressures would have on the results of the measurements. Due to the modifications he tried out, Kohlhörster was not only able to confirm Wulf’s and Hess’ findings of the rise of the number of ions per cubic-cm per second, but also to discover, by sinking the apparatus into the Saale river, that under water the number of ions declined . In 1928, Geiger and Müller invented the wire counter, which was able to count single events of an ionizing ray hitting the counter’s tube . 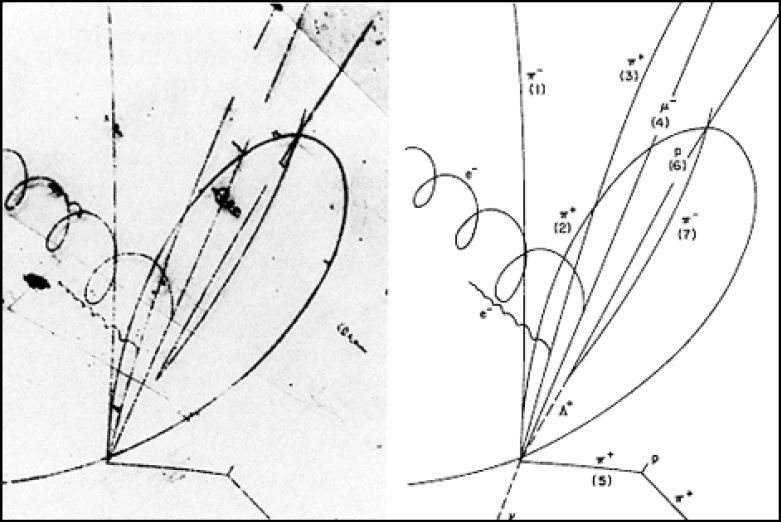 The wire counter was the basis for another important development in cosmic-ray studies, the coincidence method, which was for the first time described by Bothe and Kohlhörster in 1929 . This method makes use of the Geiger counter by connecting at least two of them. Observing the results of both counters one finds many events that are not related, but several of them coincide and so give a good clue that those hits have been caused by strong penetrating rays, which are able to hit both tubes without losing all of their energy in between. So, after the idea of cosmic rays had started to settle in scientists’ understanding of the natural world, these inventions helped to widen the range of research. The fundamental work that had been done up to around 1932 and the knowledge that had been gained through it was summed up by Geiger in 1940 . What had been acknowledged by then as a fact was the cosmic origin of the radiation. In addition, it had become clear that the intensity of the rays was independent from the time of day that they were measured as well as from the direction they appeared to come from. With about one pair of ions per second, per cubic centimeter, ionization at sea level was barely measurable; though the radiation, for lack of a better definition up to then simply called “ultra-radiation”, was extremely penetrating, even in water or solid rock. 3.3 Balloons for cosmic rays: the beginning of spaceflight? Another technical device that played a decisive role in the early research of cosmic radiation has not been regarded here properly so far: the balloon. It had helped Hess to detect cosmic rays and through constant improvement would finally mark the transition from earth-bound studies to the beginnings of modern space travel. Hess had made a total of ten flights, all manned and equipped with Wulf’s electrometers and oxygen supply. A malfunction of the gas in the balloons prevented Hess on several occasions from reaching his desired height . But finally he succeeded, as did Kohlhörster one year later . After World War I the importance of manned flights lessened and work with unmanned balloons gained significance. Millikan had used them in 1923 to gain greater height in his flights , using a Wulf apparatus that weighed less than 200 g, thus being able to ascend higher than any manned balloon could have done. 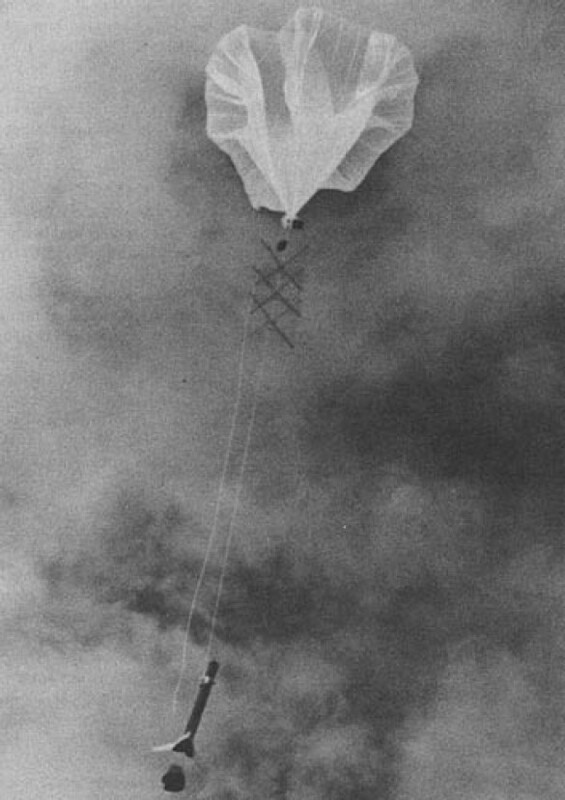 In Germany, Regener made use of unmanned “pilot-balloons” in order to scrutinize the characteristics of cosmic rays at ever greater heights. He had built a Wulf electrometer, the “balloon-electrometer”, that fit the special needs of high altitude, including being resistant to high air pressure and intensive coldness. This instrument, and the use of several balloons to carry it, allowed ascents up to 25 km, outdoing the most extreme manned balloon flights by almost 10 km in 1932. These high altitude ascents showed that the increase of ionization seemed to reach a constant level in the highest part of the atmosphere. The balloons would be put together in tandem carrying a gondola of up to 12 kg with the electrometer. The landing was initialized by the bursting of a rubber membrane on one of the balloons. That was the main disadvantage of unmanned balloons. The instruments that had been on board had to be collected after landing, which meant a great deal of extra work, as they first had to be located in sometimes rather impassable terrain and then had to be brought back to the institute at which the measurement data was to be analyzed. Regener is reported to have launched balloons that were found more than 200 km away from the starting point . Therefore, the technical progress that had been made in the field of data transmission and data archiving helped a lot to simplify the balloon flights of cosmic-ray physicists. Knowing about the difficulties, Russian scientists tried to circumvent the problem by using radio signals to transmit their data. First the data were sent to a telephone, from which they had to be recorded by hand. Later oscilloscopes made visible the measured data so that they could be recorded on film . Some [213, 159] consider these manned and unmanned balloon experiments to mark the beginning of space physics. Already during World War II, Regener had invented a container in the shape of a barrel that would have been able to carry a great number of different experimental set-ups in a space rocket and protect these devices against the hostile conditions of such a flight, e.g. extreme temperatures and pressure. Unfortunately, Regener’s invention did not come into regular use, as the A4 rockets, now better known as the V2, were, after some test flights, not used for scientific purposes, but for military purposes only and so the prototype of that device got lost in the war. Still, it brought Regener the fame of becoming the founder of extra-terrestrial physics . Another basis for later satellite-borne experiments conducted by American and Russian researchers was a mixture of both known devices, balloons and rockets, balloon-borne rockets called rockoons. Invented in 1949, rockoons were used by Van Allen during the 1950s to explore the magnetosphere of the Sun, as well as to learn about the properties of cosmic rays. He came to the conclusion that the Earth’s magnetic field shields us from the majority of cosmic radiation . This interesting blending of different methods points at another important aspect concerning the historical analysis of early cosmic-ray studies. Because scientists at the beginning of the 20th century felt somewhat uncertain about the nature and characteristics of the many different kinds of radiation, there was a vast range of interrelated methods applied to this problem. On the one hand, different radiation phenomena were detected and analyzed with experimental gear that would all be carried at the same time in either a balloon or a plane. . On the other hand, the same methods and technical devices could be used for very different purposes [178, 179]. This makes it sometimes a bit difficult, but also very interesting, for historians of science to find out which scientists worked in the field of cosmic-ray studies, as they sometimes came from very diverse fields of physics. But balloon flights were not the only means of high altitude research; a number of observatories were erected and existing stations were extended for the special needs of cosmic-ray research. In Europe the Alps became the focus of interest in Earth-bound studies at great height, the Andes in South America. There were also several observatories in North America and in Asia. Though they were later to be important for the investigation into the nature of the eruptions from the Sun in the International Geophysical Year of 1957/58 and some of them are still in use today, further work needs to be done in order to learn what role exactly they played in the early stage of cosmic-ray studies . The stunning thing is that they came into use for the purposes of cosmic-ray studies very soon after Hess’ “discovery”, at least as early as 1916 . That means, that a — up to today not historically analyzed — scientific, financial, administrative and human effort of an enormous extent had been made in order to construct proper equipment for the experiments and take it to the stations on mountain tops, if these stations already existed at all. In addition a huge investment of man-power was required in the execution of the experiments, not to mention the necessary supplies for the experimenters. If one takes into account the time of these first experiments and the other epoch-making events of that day, like World War I, it is quite astonishing that there was still enough interest to mobilize such powers for a scientific purpose of this extent. The photographic emulsion technique is based on the improvement of the usual photo-plates, like those used by Röntgen and Becquerel. The emulsion is thicker and has a high concentration of silver bromide grains that condense along the tracks of particles that pass through the emulsion. Microscopic examination of the properties of the grains that form a particle track gives information about the mass of the particle. Yet the standard products available in the 1930s could only detect slow protons and alpha particles. After the emulsion had been greatly improved in the mid-1940s, the pions, long since theoretically predicted, could be traced experimentally . From then on the method was successfully used for investigating the properties of muons and pions that were contained in cosmic rays and the detection of more as yet unknown particles, like the tauon, the kaon and others . As the technique was rather cheap it was an attractive means of cosmic-ray studies after World War II. Numerous emulsion plates would be stacked and placed on unmanned balloons. Unmanned balloons having the main disadvantage of having to be traced on quite long distances, the emulsion technique was one of the first to require larger international collaborations than the rather small ones of the 1930s, benefiting from the fact that the physicists involved could cover a much greater terrain, literally, but also in a figurative sense . Particle detectors, as we have already seen in the case of the cloud chamber, are important in particle physics and astroparticle physics alike. As the objects in these fields of physics cannot be directly encountered by human sensory perception, they have to be made “visible”. Philosophically speaking that makes them special objects when talking about the “reality” of such entities, yet from a scientific point of view there are various means to make them either visible or audible and then analyze their different properties with the help of detectors . There are many different kinds of detectors, the following being just a very short overview of the most important ones. Their development through time mirrors the development of the relationship between early cosmic-ray studies and particle physics. From the 1950s onwards, detectors were optimized for use in connection with accelerators, while in principle they could have been used with cosmic rays as well. Detectors in modern astroparticle physics are even more complex than the detectors briefly described below; they have developed into huge experimental set-ups that make use of very different technical know-how (see Section 4.5). Invented by Glaser in 1952, for which he received the Nobel Prize in 1960 , the bubble chamber works with the same principle as the cloud chamber, being a volume of liquid that makes tracks of charged particles visible by condensation. But the bubble chamber makes use of a different mechanism: A cylinder filled with super-heated liquid, like diethyl ether in Glaser’s first set-up  or hydrogen, is placed in a magnetic field. Then — while the liquid is close to the boiling point — the pressure in the chamber is lowered. When particles now enter the chamber, their loss of energy in the liquid makes a bubbling effect, of which a photo is taken, showing characteristic particle tracks  (see Figure 4). Usually bubble chambers are used for taking pictures of particles from accelerators, but they are also able to trace cosmic rays. When looking for the ideal liquid to build the detector he had in mind, Glaser came across the problem some chemists encountered while working with super-heated diethyl ether. At certain intervals the super-heated liquid started to erupt into bubbles. Glaser’s calculations showed that the disruptions the chemists had witnessed were in total agreement with the cosmic radiation and the general radioactive background at sea level . Spark-chamber detectors are a good device for detecting weakly interacting particles. Several plates of light metal are arranged in a gaseous atmosphere such that there is no overlap between them, if a voltage is supplied to them. Incoming particles are then able to ionize the gas and produce a cascade of further electrons that can be traced by the sparks they release from the plates. Drift chambers became the more commonly used as they deliver immediate electronic data, rather than relying on photographs, and thus are able to analyze much more information. Drift-chamber detectors, invented by Charpak around 1967, are a modified form of wire chambers . The latter make use of the fact that incoming particles may produce a shower of electrons in the gas of the chamber. The freed electrons drift through the gas to the wire where high voltage gives enough energy to produce an avalanche of secondary electrons, which can then be detected. This method gives the opportunity to reconstruct the time of the primary event . Today the usage of computers in general is so common among physicists that this method might be seen as self-evident, but the application of ever-better computer programs to various scientific problems must have been quite a relief for researchers in the 1950s and 1960s, both for the mathematical analysis of collected data and the calculation of theoretical predictions. One good example might be the Monte Carlo simulation method. After being successfully applied to the problem of predicting the development of particle showers in 1958 , it became a standard method for calculating electromagnetic cascades . One advantage of the method is the ability to track particles individually, thus providing reliable results concerning the lateral spread of cosmic-ray and other particle showers. Yet in the very early days of computers in cosmic-ray physics, the rather low standard of computers forced researchers to deal intensively with the scientific processes behind the application of technical equipment; e.g. the methods of sampling had to be considerably improved in order to get good results out of the calculations . But as the history of computer science has its own peculiarities , I will not go into any detail on that point. Particle accelerators do not, of course, belong to cosmic-ray physics. Yet, as this whole section tries to show the influence technical improvement may have on the development of science, a short overview of some of the most important kinds of accelerators seems to be appropriate at this point, as they are generally held responsible for the rise of particle physics after the 1950s. What is even more important, discoveries of numerous new particles enabled researchers to develop the Standard Model of particle physics , which was to become one important basis of modern astroparticle physics. Moreover, man-made accelerators taught researchers the basic mechanisms of particle acceleration and propagation, so that their findings could be applied to cosmic accelerators of particles, like the shockwaves of supernovae. Especially as the problem of the acceleration of particles by interstellar magnetic fields had been a topic of interest even before . In 1919, the Norwegian electrical engineer Wideröe was the first person to speculate about the concept of circular accelerators, calling them “ray transformers”. Because he was interested in Rutherford’s scattering experiments and the problems of nuclear fission, he applied the theory of general relativity to describe particles moving close to the speed of light . This concept of a ray transformer, using changing magnetic fields to accelerate electrons, was later to become a betatron, but as first experiments Wideröe conducted with this set-up failed, he turned to linear accelerators. Invented by Ising in 1924, the device was a success, as it was able to accelerate ions of sodium and mercury. In the 1940s, Alvarez improved the linear accelerator so that it became possible to work with proton beams . The next step towards larger and more effective particle accelerators was marked by the invention of the cyclotron, usually ascribed to Lawrence (see Figure 5). He had the idea of combining two of Wideröe’s drift tubes so that the particles would be accelerated by a magnetic field in a spirallike circular movement. The principle worked out quite well, though early cyclotrons of smaller diameter faced some problems in surpassing the 30 MeV energy limit at which protons become relativistic. As cyclotrons turned out to be useful for a number of applications, like nuclear physics, they were used during World War II for producing fissile material. In the meantime Wideröe’s idea was taken up again, this time to be turned into the betatron. This electron accelerator was able to reach energies of about 300 MeV. With the increase in energy came an analogous increase in weight: even rather early betatrons in the 1940s weighed up to a few hundred tons . Picture of the moon taken using x-rays: The light side on the right is a reflection of the sun’s x-rays; the overall x-ray background signal is also detectable. It was this desire to accelerate particles at higher energies — an obstacle that in the opinion of some researchers could only be overcome by cosmic accelerators  — that paved the way for the synchrotron. After the principle of phase stability had been discovered, cyclotrons were first developed into synchro-cyclotrons until they were finally merged together with the betatron to form synchrotrons. These machines were not only able to accelerate electrons and protons alike, but also soon after their invention reached energies in the scope of a few GeV . Finally, the concept of storage rings was born out of the conclusion that a head-on collision of two particles would give the opportunity to use all the acceleration energy for the collision and no longer waste a great deal of energy on the recoil. Thus, the first storage rings reached collision energies of a few GeV, and future colliders are heading for the TeV mark . In comparison, cosmic rays are able to exceed even the TeV scope and reach up to a few PeV . 4 New Fields of Physics — An End to Cosmic-Ray Studies? At the end of the early period of cosmic-ray studies, up to the late 1930s, great achievements had been gained. The existence of penetrating rays had been experimentally confirmed and the idea of their cosmic origin had been established. Numerous new particles had been found and thus the way was paved for modern particle and high energy physics , a development that was further enhanced by the invention of the first particle accelerators by Wideröe, Lawrence and others . Also the basis had been laid for unmanned stratospheric flights, which would later be replaced by satellites. A third achievement was the theoretical work being done. All these aspects finally led to the development of separate new fields of study, such as high energy physics (HEP) and cosmology. Because of these new fields, cosmic-ray studies after World War II was in a state of crisis. Still, quite in contrast, one could also understand the forerunner of astroparticle physics as a successful example of an interdisciplinary approach towards science that has gained momentum again just recently. It is remarkable that the time from around 1895 to World War II witnessed such an amount of new scientific phenomena and fields: radioactivity and its more practical derivative nuclear power, radio-chemistry, particle physics, astrophysics (especially relativistic astrophysics), cosmic-ray studies and, of course, quantum mechanics. Still, historical and philosophical approaches tend to neglect the fact of the almost simultaneous development of such important new fields of physics. The many intertwined phenomena being studied during that period already seem to anticipate the multifaceted nature of what was to become astroparticle physics. After World War II it appears at first glance as if the interest in cosmic-ray studies had declined in favor of particle physics. This may hold true for HEP, though even then objections arose saying that man-made accelerators could never reach the enormous energies that particles from cosmic sources have . Moreover, many other phenomena of cosmic radiation were studied in the meantime, though they seem to belong rather to astrophysics. Yet, today they also contribute to the list of urgent matters of astroparticle physics cited above and they are supposed to form the field of “cosmic-ray physics” [110, 205]. As one possible reason for a certain phase of stagnation in cosmic-ray physics, the aspect of funding has been brought into play. Due to the (assumed) utility of particle physics for the civil, i.e. industrial, and military use of nuclear power, there were large investments made, as well as in fundamental research [165, 126]. On the other hand, some physicists indicate that the reason for the major interest in particle physics was due to internal scientific difficulties that had to be overcome before cosmic-ray physics could gain ground again. Regrettably, this alternative view of the internal development of cosmic-ray studies has not been spelled out so far, so that this would be another point that needs deeper scrutiny. Of course, cosmic-ray studies had always been related to x-rays, as the very early beginnings were fostered by an interest in the various aspects of radioactivity at the turn of the century. In those early days of cosmic-ray studies, cosmic rays themselves had been thought to be gamma-rays. In the 1940s and 1950s the possibility of gamma-ray production by interaction of electrons or protons with star light and interstellar matter  was being analyzed. But the detection of immense x-ray and gamma-ray sources, due to the context of their detection being connected to the field of radio astronomy, occurred in the 1960s. First, the x-ray emission of the sun was proven by photographs taken of the sun by a rocket-borne pinhole camera . Then, in 1962, not only was a major x-ray source detected in the constellation Scorpio, an already well known radio source, but researchers investigating x-ray fluorescence signals from the moon realized that the overall diffuse x-ray background was far more intense than expected. The conclusion was that there must be x-ray sources outside the solar system . It was assumed that synchrotron radiation produced by cosmic electrons accounted for the emission of these x-rays . Those findings paved the way for a new generation of rocket-borne experiments mapping x-ray sources in the universe. The discovery of gamma-ray bursts is renowned among physicists as it is linked to one anecdote of the Cold War. In the 1960s, military satellites of the Vela type were looking for nuclear tests by the Soviets that would have broken the Test Ban Treaty. They did find strong gamma-ray emissions, but they did not come from Soviet military grounds. They came from space. So in the 1970s and 1980s satellite-borne operations were launched to learn more about the different sources of gamma-rays, one of the most astonishing results being that these sources seem to be distributed all over the sky . The study of gamma-rays from galactic and extra-galactic sources seems to be able to provide modern cosmic-ray physicists with answers to numerous interesting questions concerning problems of the production and the possible sources of such rays, as they are supposed to be exceeding the energy of 100 billion eV . As mentioned in the introduction, dark matter is high on the agenda of modern astroparticle physicists. Still, the idea of matter that we cannot “see” with our particular means of detection is somewhat older. Working on the velocity of rotating stars in the 1920s, Oort found that our galaxy should be much more massive than its visible matter would lead us to believe . Zwicky came to a similar result in 1933, when he analyzed the mass-to-luminosity ratio in single galaxies and in clusters. To make sure that his first estimates were not due to the measuring error of his method, he tried new ways of calculating the mass of extra-galactic nebulae . For a long time the question of the missing mass remained unsolved . More recent approaches have tried to make use of different methods of astroparticle physics, like neutrino detection, as a possible means of learning more about dark matter. The idea is that high energy neutrinos might be produced during the decay of super-symmetric dark matter particles . Sometime before, neutrinos had even been supposed to be identical with dark matter. Today, physicists consider it safe to say that there has to be something like dark matter in order to account for a number of the currently observable gravitational phenomena in the cosmos . There are different candidates for this matter. Some baryonic as well as many non-baryonic models have been proposed to solve the problem . As the question about the nature of the matter in our universe in general is closely linked to the issues of particle physics, astroparticle and particle physicists have become regularly involved in the search for dark matter . The current opinion of researchers is tending towards the existence of non-baryonic dark matter, as the search for baryonic dark matter, like that for massive compact halo objects (MACHOs), has been unsuccessful so far , though this is not the only reason. The most promising candidates presently on the agenda are axions, a new type of particle, and WIMPs (Weak Interacting Massive Particles) . Still, even conventional matter and dark matter combined might be unable to explain some of the phenomena observed, like the accelerated expansion of the universe that has been witnessed for the first time in different experiments in 1998. This effect is ascribed to the influence of “dark energy”, which is assumed to make up about 70% of the universe . At first glance the use of radio waves belongs to the core methods of astronomy and cosmology (see Figure 7). Yet the analysis of the nature of radio emissions had already in the 1950s played a decisive role in answering the question of the origin of cosmic rays . Its very early history can be traced back to the 19th century, the groundwork being the pioneering work by Maxwell, Hertz, Edison and others, when the general principle of radio transmission was studied. Unfortunately, the following experiments by Wilsing and Scheiner , as well as Nordmann  on the radio emission of the sun, were unsuccessful and Planck’s theory of thermal radiation, predicting a signal of radio waves coming from the sun far too weak to be detected, seems to have discouraged further attempts . The breakthrough for the astrophysical use of waves in the radio part of the spectrum came in 1932 with Jansky. Working for Bell Laboratories and investigating short waves for means of better transatlantic radio transmission, he found a faint distant “hiss” that could not have been caused by the usual sources of static like thunderstorms . He invested further work into the problem and it soon became obvious that the signal came from stellar objects other than the sun [4, 115, 114]. He even concluded that the source could be found outside the solar system . Radio astronomy began to flourish and already in 1950 the question of how cosmic radio emission and cosmic rays consisting of charged particles might be linked arose. It was Kiepenheuer  who first suggested that radio signals might be synchrotron radiation of electrons in interstellar magnetic fields, though the idea itself had already been introduced by Alfvén and Herlofson  somewhat earlier. Just one year later, Ginzburg  suggested that synchrotron radiation might be produced in supernovae or distant galaxies. But it took another decade for the analysis of radio signals to become profoundly intertwined with the problems of cosmic-ray physics, when radio detection became an interesting means for investigating the air showers of cosmic rays . Just recently the LOPES (Lofar Prototype Station)  project was launched in order to learn more about how to make use of radio signals to detect air showers originating from particle showers of very high energy. The discovery of the CMB is also due to a coincidence. Penzias and Wilson, working with an antenna for the calibration of satellites in order to guarantee low noise, found a uniform 3 K background in the universe . That was the proof for a hot and dense state of the early universe and evidence for a “big bang” postulated in the 1940s and fully conceptualized by Gamov somewhat later . By and by these findings brought to an end the long-lasting debate over whether the universe was expanding. This problem had arisen from the 1920s mathematical solutions to the equations of general relativity proposed by Friedmann and Lemaître, which predicted a universe that was not static. The idea of an expanding universe had been further pushed by the detection of the red shift of galaxies, owing to Hubble’s law [22, 138]. In the 1960s, the idea was established that interactions of CMB with ultra high-energy cosmic rays (UHECR) might be responsible for the drastic rise of the cosmic-ray spectrum by more than 1020 eV [89, 228]. Current experiments on UHECR are trying to figure out the properties and possible origins of these cosmic rays. Scenarios include extra-galactic as well as galactic sources of UHECR. 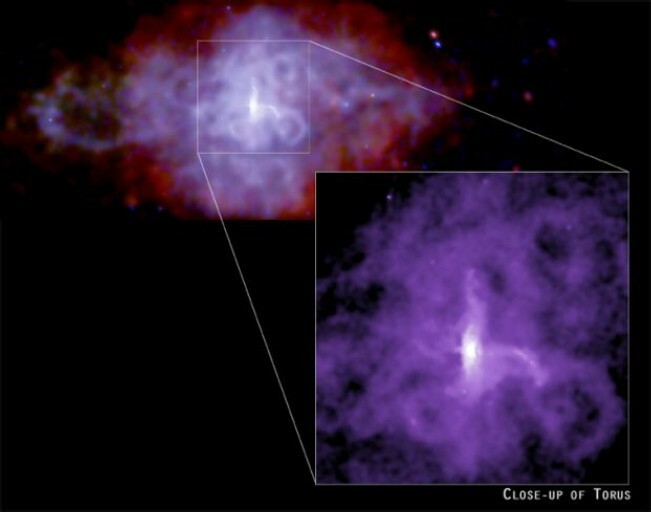 The most likely of those scenarios for galactic sources assumes that these rays are being accelerated by stochastic shock acceleration in supernova remnants . Already in the 18th century, Michell  and Laplace  had thought about the possibility of objects that would not allow light to escape their surface. But typically black holes are counted as objects of relativistic cosmology. Schwarzschild’s solution to Einstein’s field equation in his gravitational theory of general relativity, proposed very soon after Einstein’s article on the matter in 1915, gave a mathematical description of such an object . This solution was interesting on a theoretical level, as it may account for different phenomena like gravitational red shift, lensing and others . Yet, unlike some of the few stationary solutions to Einstein’s equations proposed, black holes do not only exist as a mathematical model, but also in reality. The first to predict that there were stars so massive that they would collapse under their own gravity was Landau , though Chandrasekhar is said to have come to the same conclusion at approximately the same time. Finally, in 1972, a black hole was found in the binary system Cygnus X-1 [216, 27]. Thus, it is evident that black holes are indeed formed through the collapse of massive stars, which become so dense that light cannot escape their Schwarzschild radius . Black holes are also thought to be connected to phenomena like quasars. It is assumed that black holes, being at the nucleus of an active galaxy (see Figures 8 and 9), may accumulate matter like stellar gases in large amounts, the rotation of the black hole circumventing it that all the material is “devoured” at once. Thus the residual matter forms a large vortex-like disc, the so called accretion disc. 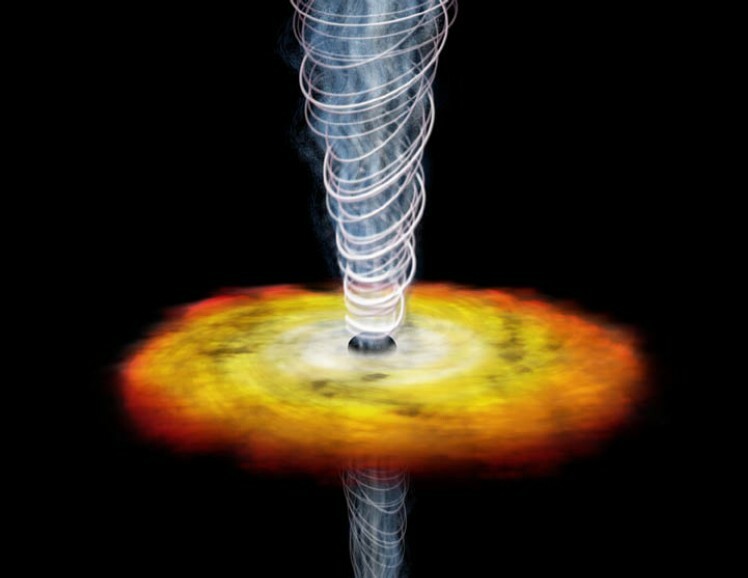 While orbiting ever closer towards the black hole, the in-falling material loses energy, most probably in form of relativistic jets, detectable as quasars or blazars, depending on the angle of observation . Quasars, standing for “quasi-stellar radio source”, had first been witnessed with the help of radio astronomy in the 1950s . As they could not be linked with an object in the visible spectrum, it took until the 1960s for it to be realized that the unexplained properties of these objects were due to enormous red shifts, meaning that they were moving at very high speed at a very great distance. In 1962, Hazard  investigated the position of radio source 3C 273, which was covered by the moon. He found that the source must be a double radio source, because of its halo-like form with a much brighter center that coincided with a stellar object of thirteenth magnitude. Others started to analyze the properties of this source, as well as the radio source 3C 48. They found an immense red shift, enormous luminosity, an emission in the form of a jet and a fluctuation in brightness over the period of 80 years [187, 88, 162]. Blazars, which are based on the same phenomenon, are witnessed from the Earth’s point of view at a different angle, which first gave the impression that they were a different phenomenon. Like quasars they are supposed to be jets that are emanated from black holes when they are “swallowing” mass. Pulsars (see Figure 10), on the other hand, are neutron stars, which give off electromagnetic waves at certain intervals . They were first detected in 1967 by Bell and Hewish, who were working on the effect the Sun’s flares have on the emission of radio sources and who were trying to develop a new means of investigating compact radio sources. When they found a pulsating object with regular radio emission , they discussed the possibility of having found an object that could be identified with the neutron stars predicted in the 1930s . The idea of neutrinos goes back to Pauli who postulated them in 1930, together with the neutron, which he, according to Pontecorvo , for a while mistook for being identical to the remnants of beta decay. In 1933, Fermi introduced the term “neutrino”. At that time it was assumed that beta decay was the only means of neutrino production, which is not true. Neutrinos are produced in a number of different decay and scattering processes. The only possibility of detecting them during the early stages of neutrino physics was through the laws of energy and momentum conservation, as their weak interaction made them impossible to discover by the then-common means of particle detection. Yet the neutrino hypothesis was very soon transferred to astrophysical problems by Bethe, who proposed that neutrinos were emitted from the sun and other stars in their thermonuclear reactions . Though after the 1940s accelerators and reactors were to become the most important means in neutrino physics, the astrophysical aspects have always also been of great importance. Especially in the 1960s and 1970s, large experiments were conducted underground or underseas in order to learn more about cosmic sources of neutrinos. They had to be put underground to shut out the noise from other high-energy particles. But there have been neutrino experiments conducted with man-made accelerators as well . The importance of neutrino astronomy grew over the past 40 years, after it had been found to be a means of proving fusion processes in the sun in order to verify the theory of stellar evolution, which predicted exactly such processes. Yet the number of neutrinos detected covered just one half of the predicted neutrinos, so the idea of neutrino oscillations (i.e. the change of neutrino flavor) was introduced. Though confirmed in 2001, this idea is not in line with the Standard Model of particle physics and therefore one example of how astroparticle physics or rather neutrino astronomy may go beyond that model . Today neutrino experiments have reached a new level. For example, the Cherenkov detector of the former AMANDA  now IceCube experiment at the geographical South Pole will reach a volume of 1 km3 . Generally, the detection of high-energy neutrinos in water or ice with energies of more than 1 TeV provides directional information about the particles. Because neutrinos are not deflected by magnetic fields as charged particles are, they may provide information of where in the universe we may find sources of highest energy particles, exceeding 1 Mio TeV. Good candidates for such sources of cosmic radiation are GRBs (Gamma-Ray Bursts) or AGN (Active Galactic Nuclei) — so called cosmic accelerators . Using the Earth as a shield makes it possible to distinguish atmospheric from galactic neutrinos, as only the latter have been accelerated to energies high enough to penetrate the entire planet. The characteristic of extremely weak interaction of the neutrinos with mass makes it difficult for researchers to detect them. The method commonly used with modern neutrino telescopes is the measurement of Cherenkov radiation  (see Figure 11), a method also used for detecting very-high-energy gamma-rays . where n is the index of refraction. Cherenkov radiation has a continuous spectrum that intensifies with higher frequencies. Therefore, Cherenkov radiation appears bluish, although most of the intensity is emitted in the ultraviolet range. This faint blue signal, named after Pavel Cherenkov, who witnessed the effect in the 1930s, can be measured with photo-multipliers and then be analyzed [22, 205]. As it is not the task of this article to give a complete review of current astroparticle physics, the following is only a short overview of the major events that took place after astroparticle physics was “founded” in 1987, next to a brief summary of the events that may have lead to this foundation. The major reason for the development of astroparticle physics might be seen in the “conceptual links”  that were established during the 1960s and 70s between cosmology and particle physics. The first of these links was the finding that the abundance of helium in the universe might account for a limit on the number of neutrinos. Another important insight was provided by the application of CP violation to Big Bang Theory, which gave a possible explanation of the relationship between matter and antimatter in the universe. Finally, as a particle theory might offer an explanation for the nature of dark matter, “dark energy and dark matter are natural targets for particle physicists” . The most promising of these explanations so far is the theory of super-symmetry, which predicts more massive counterparts to every known elementary particle . Another point that might help explain the growth of astroparticle physics is that it is becoming more attractive for particle physicists. This is due to better working conditions on the one hand, but also for the simple reason that, especially in the U.S., funding for accelerator-based experiments has been cut down drastically . This is dependent on the fact that cosmic-ray particles reach “energies not accessible to terrestrial detectors” , thus promoting cosmic-ray physics to a new heyday as a means of investigating the properties of elementary particles. Apart from this, some physicists state that it is more rewarding for them to pursue particle physics beyond the standard model to try to answer the many open questions that have first been put by cosmology with the help of astroparticle physics . The talks given covered a wide range of topics grouped around two major problems: the standard model of particle physics including how astroparticle physics might transcend it and the question of the history of the universe, focusing on galaxy formation. The most striking point seems to be the fact that according to the introduction, the organizers of the School had in mind the fostering of a whole new discipline, not some minor sub-discipline. Yet they had to admit that they faced methodical and pedagogic difficulties in the course of their School . Current experiments in astroparticle physics span almost the whole spectrum of cosmic rays, as even the most superficial look at recent articles shows [1, 97, 163, 184, 210]. They make use of the detection of all types of radiation in order to learn about the sources of cosmic radiation, the nature of the particles, as well as the properties of the interstellar medium. The knowledge of astroparticle physics is understood as a vital means to learn about the nature of the smallest and largest structures in the universe at the same time, thus maybe making it possible to find a unified theory [18, 85]. As indicated above, there is still no consensus on what the current scientific standing of astroparticle physics is. While even in the most recent publications  renowned scientists call astroparticle physics an interdisciplinary area, others claim the status of a discipline for this field. The dissent might be rooted in the discrepancy between the fact that the formal aspects that mark a discipline are more or less fulfilled by astroparticle physics and the lack of an inner-disciplinary profile that makes it possible to tell the contents of this field clearly from those of particle physics and, even more so, from those of astrophysics (see Section 6.2). These external aspects have been described by historians of science as being defined by the community and its ongoing exchange on the topic, the growing tendency to form institutions and the self-reproductive character mirrored in academic publishing and teaching. This definition  is to some extent owed to the former Marxist approach, which laid emphasis on the material conditions, i.e. the social context of scientific development. But not only do historians that foster modern interpretations of that contextual method still agree upon that definition , it is also in good compliance with the Kuhnian idea of the so-called “normal sciences” . Now first, the aspect of a large community does surely apply to astroparticle physics. For not only do even single experiments consist of cooperating groups of up to a few hundred members [43, 212], but also different experiments work together like in the German VIHKOS  cooperation, that links about ten international projects concerning “High Energy Radiation from the Cosmos”. Communication between astroparticle physicists is also enhanced by various regularly held international conferences and workshops in the field of cosmic rays and astroparticle physics. A good example of such a conference with a long tradition is the International Cosmic Ray Conference (ICRC), a bi-annual event that took place for the 30th time in 2007 . Modern astroparticle physics has formed in the course of such international meetings. Concerning institutionalization in astroparticle physics, it would exceed the scope of this article to list all the different chairs at universities and various other institutions that are connected to experiments from the field of astroparticle physics. Yet even a brief look at the physics departments of German universities shows that more than one third of them appear to have at least one chair of astroparticle physics, which by and large are subsumed under the departments of experimental physics. In some cases, astroparticle physics is one equal part of a joint chair of particle and astroparticle physics. Besides, the simple fact that there is specific teaching in astroparticle physics at all, providing the opportunity to reach “degrees of higher status”  in this field, i.e. at least the status of chair-holder, is another indicator for the “self-reproductive” element in astroparticle physics. One might argue that this is still not sufficient to grant a field the status of a discipline. Yet, as it has been only 20 years since this new field came into being, one might leave it to future analysis to judge whether this will have been just one step towards a successful fulfillment of the process of institutionalization or whether this will mark the final status of a sub-discipline or interdisciplinary field. As different institutions are dependent on the financial support they are granted for equipment and human resources, it might also be worth taking a closer look at the status the field has with the major institutions that fund sciences, like the German Federal Ministry of Education (BMBF). There, astroparticle physics is funded as one section of basic scientific research . BMBF and other European funding institutions are also closely related via certain networks like the aforementioned ASPERA, which provides a plan through the year 2009 for building up infrastructure, ensuring communication and organizing workshops and other events that promote research in astroparticle physics (see Figure 12). As a consequence of this interpretation, it would be rather difficult, if not impossible, to tell a certain stage of development within one established discipline from the first steps of an evolving new discipline. This problem, among others, might account for the problem pointed out in Section 5.3. Though the external factors for reaching the status of a scientific discipline are all more or less fulfilled by astroparticle physics, so that one might speak of a discipline in the making, or at least of something more than just an interdisciplinary field of study, this is exactly the term used in the latest publications . So what might be the reason for this discrepancy? One of the major problems with defining astroparticle physics as either a field or a discipline lies in the lack of a definition of astroparticle physics. As indicated above, terms like ‘high-energy astrophysics’, ‘cosmic-ray physics’, ‘extraterrestrial physics’ and other variations are used synonymously, giving no clue as to whether they are intended to have identical or slightly differing meanings. This seems to be closely connected to the conceptual links that linked cosmology and particle physics in the last decades and became the solid ground that modern astroparticle physics is based on. For even those neighboring disciplines have become “inextricably intertwined” . So it may become ever more difficult to differentiate astroparticle physics from astrophysics or particle physics, not to mention the problem of telling astroparticle physics from related fields such as cosmic-ray astrophysics and others. Thus, it becomes either nearly impossible to grant astroparticle physics the status of a discipline of its own or it requires deeper scrutiny as to whether the current means of dividing different disciplines from each other are profound enough to do so in a satisfying way. On the other hand, this blurring of disciplines and fields might be just a natural development owing to successful interdisciplinary work that has helped to attenuate the “segmenting force”  of the formation of disciplines. For this is exactly what some see as the major task of interdisciplinary projects: to exceed the limitations of knowledge caused by the fragmentation of the sciences into disciplines and to compensate for the loss of the unity of science . A possible solution to this problem might be the analysis of the internal factors of theory formation in astroparticle physics, though this approach has its own pitfalls, because one of the decisive shortcomings of analyzing the different factors of theory building in general is the difficulty of telling the internal from the external ones. First of all, without the internal factors building the core of the theory, one cannot speak about a theory and its external conditionality at all. But also the interrelations between, say biographical, institutional and technical conditions on the one hand and the progress of the internal aspects of a theory on the other hand are inextricably intertwined. As shown above (2.4), the success of Hess’ experiments that paved the way for the acceptance of the hypothesis of the cosmic origin of penetrating rays, was to a great part owed to the good technical condition of the balloons he used, whereas others seem to have been less lucky . From an historical perspective the transition between internal and external factors is even more blurred, depending especially on the sources one consults. In any scientific publication the reasons given for or against pursuing a certain train of thought will be mainly logical, inherent ones, whereas private communications, laboratory journals and so forth might disclose a multitude of different reasons that need not necessarily be linked with internal structures of the theory at all. For historians it is sometimes even more complex to distinguish external from internal factors, for, knowing the result of the whole process already, one might evaluate an external fact as an absolute condition, that otherwise would have not been taken into consideration at all. Taking again early cosmic-ray studies as an example, one might ask the question, how we would judge the work of Wilson, Elster and Geitel concerning the residual effect caused by cosmic rays today, had Hess stumbled upon this radiation accidentally, not being acquainted with their findings. Defining the current scientific standing of astroparticle physics will therefore only be possible after a deeper scrutiny of its internal history. What theoretical basis, what experimental results, what mathematical methods were needed before a sufficient theory of cosmic radiation could be developed at all? What is the core theory or the common concept that is shared by all those working in the field of modern astroparticle physics, independent from the field of physics they used to work in? These questions will provide interesting work for historians, philosophers of science, physicists and sociologists alike. The following section will first have a look at the historical questions that have been left unanswered so far, in order to analyze secondly which philosophical problems can be found in this field. While other topics from physics, especially the problems of quantum mechanics, have been the focus of interest of many philosophical analyses (e.g. [173, 72, 62]), this has so far not been the case with cosmic-ray studies, let alone astroparticle physics, though they might supply philosophers with a number of interesting questions concerning the philosophy of physics. Not many historians have considered the field of astroparticle physics, until now. One reason for this lack of interest in the topic by historians of science might the fact that any historical approach to astroparticle physics will have to face some problems first. One is the missing definition of what this field’s contents are and were, a topic that has been mentioned in this article before. The blurred image of the historical and current matters of astroparticle physics is problematic, as it tempts one to analyze events from a modern point of view, that is with modern astroparticle physics in mind. But this may lead to the omission of certain developments, which may have been dead end streets from a physicist’s point of view, but might be most elucidating for historians and philosophers of science. From a modern scientific standpoint the Phlogiston theory or the idea of the existence of the luminiferous aether are simply wrong, but from a historical perspective they played a decisive role in the establishment of current science. Therefore efforts should be made to investigate the history of all the different disciplines that came to influence astroparticle physics to some extent. Thus one might be able to give a more complex picture of the history of this field and may even come closer to a generally accepted definition of it. The state of research (see Section 2) so far is rather limited to scientific reviews and a number of biographical notes from famous physicists. The most important of these selected few books are certainly by Hillas , Sekido and Elliot . The first is a rather complete scientific review from the experiments of Hess up to the astrophysical problems of the 1970s. It shows that in those days cosmic-ray studies was as heterogeneous as it appears to be today, uniting different aspects of cosmology and astrophysics. Sekido and Elliot , on the other hand, try to mingle autobiographical aspects with a scientific review and therefore come closest to a complete survey of the history of astroparticle physics. The main difficulty of such a mixed approach between the fields of history, physics and personal reminiscence has been paraphrased as a “violation of parity between physicists and historians in the study of the past, [that] resulted, of course, in weak interactions” . Many others [131, 192, 34, 82, 33, 133, 83, 70, 138] have contributed to the history of physics in general and/or the history of particle physics in particular; these works have pieced together various parts of the development of astroparticle physics and its related fields, thus becoming the basis for this article. Still, there has been no systematic historical work done on the subject. Any such systematic approach should take into account a number of historical questions that are still unanswered, some of which I will try to specify in the following. Which scientists have worked on the phenomena of cosmic rays? Some books about famous physicists who were involved in (early) cosmic-ray studies, have already been written, such as about Millikan . Yet there is still a lot of historical work to be invested in this field, for a mere biographical approach does not give a very detailed account of the history of scientific developments, even though the two are usually closely linked. The relationships between individual people, between people and institutions, as well as people and their respective work fields especially have not been analyzed properly so far. If we try to establish a picture of the early community we soon reach the limitations of this approach, for, as we have seen, the people involved form a rather heterogeneous group. The difficulty lies in the fact that we access the history of these people according to the division of physical disciplines that prevailed in the 1950s. For example, the famous chemical physicist Walther Nernst was the one to revive the debate of the cosmic origin of penetrating rays after World War I, though it did not touch even one of his general subjects . So we see that scientists from the fields of radio chemistry, theoretical physics and astrophysics were involved in cosmic-ray studies. But what if it was the other way around and cosmic-ray physics was the starting point for many researchers to become more deeper involved in other disciplines? I am not saying that cosmic-ray physics is the mother of all the others, but it might be worth it to take a look at how the different “disciplines” of physics were more united in the very early stages of 20th century physics than they are today and why and when this unity broke apart. The question of which scientists were involved in cosmic-ray studies is also linked to the historiographical problem of how to deal properly with the numerous people who worked behind the scenes. It would far exceed the limits of this article to give even a brief overview of the various problems of prosopography, especially for the history of science. Prosopography, a special tool in the historical and social sciences that is used to analyze the history of groups of people, could turn out to be a quite fruitful approach to the history of astroparticle physics. What institutions were involved in cosmic-ray studies? Whereas for modern astroparticle physics it is difficult to find out how the different subjects of the discipline are linked, we have easy access to the knowledge of which institutions are involved in this field. But for early cosmic-ray research this is far more difficult, because investigative work has not been done so far on any institutional aspect of this field. We do not yet know, for example, how the experiments at high altitude observatories were managed on an administrative level. To understand the mechanisms of institutional cooperation in the very early stages of cosmic-ray studies is essential in order to discover the standing this field had and what this means for its modern successor. 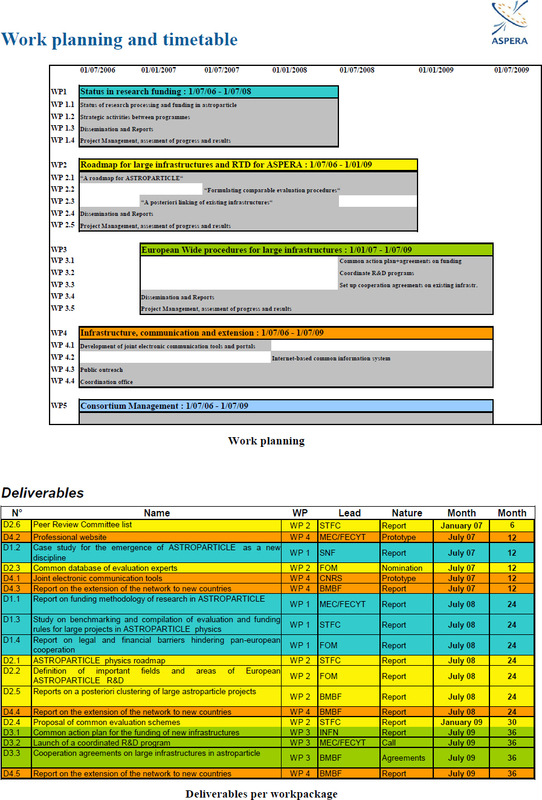 What role did technical improvement play? As shown in Section 3 the different stages of cosmic-ray physics were dependent upon a number of inventions and technical improvements that led to new findings as well as new theories. But what exactly were the mechanisms that gave way to progress in this scientific field? This question connects the historical question of the influence of technical development on science  to general philosophical questions concerning the internal and external conditions of the constitution of scientific theories. Moreover, the analysis of technical improvements may provide some clues as to how early cosmic-ray studies and modern astroparticle physics might be linked when it comes to joint technical devices or mathematical means being used. How did modern astroparticle physics come into being? The overly simple answer would be that in the late 1980s physicists from different disciplines met in order to “found” this field . The conceptual links established throughout the 1960s and 1970s had made it possible for physicists from different fields to meet in interdisciplinary workshops and try to tackle the problems at hand by working together. The mechanisms behind these conceptual links as well as the question as to why the need for an interdisciplinary solution to these problems was felt — instead of an inner-disciplinary approach on them — have not been investigated so far. But it seems very unlikely that the reason the researchers involved had in mind was mere practical necessity. Another interesting starting point would be to spell out those special scientific problems that fostered interdisciplinary work. Likewise, one might cast an eye on the formation of common means of publication, like journals and others, and analyze what role they played in the establishment of astroparticle physics. Apart from this, just looking at the events of the 1980s neglects the fact that some fields, like cosmic-ray studies, though no one has yet defined what exactly divides them from astroparticle physics as such, have been on the physicists’ agenda ever since the first discoveries in this field. It seems more reasonable to assume that the various historical threads I have tried to disentangle above were closely connected even before the 1980’s, though these connections have not been analyzed so far. It would be interesting to discover those inherent connections, so that one might establish a complete history of astroparticle physics from its beginning till now. Many of the philosophical problems that can be found in the field of astroparticle physics are closely linked to its history. Yet, as they are also linked to many problems that are genuinely of a philosophical nature, they will be separately listed below. What is the subject of cosmic-ray studies/astroparticle physics? Even a rather superficial look at the contents of modern astroparticle physics, and at the problems of early cosmic-ray studies, will disclose the problem of a lack of definition. Different types of radiation at different wavelengths are all partly the topic of modern astroparticle physics, but even early on, cosmic-ray studies investigated not only charged particles of cosmic origin, but other phenomena as well, such as x-rays and gamma-rays. Finding out what exactly the fields of astroparticle physics and its predecessor, cosmic-ray studies, are and were, would help to explain “where … the cosmic ray field belong[s]”, as Stanev  put it, thus enabling us to judge properly whether modern astroparticle physics should be granted the status of a discipline of its own right, or rather “only” to be some interdisciplinary field between more established disciplines. Maybe the blurred definition of the term “cosmic rays”, traditionally referring to charged particles, but sometimes also used for other radiation phenomena of cosmic origin, is the cause for the difficulty in defining the subject of astroparticle physics. I assume that a profound analysis of the different concepts of (cosmic) radiation , like the study of the concept of particles [61, 62], might be a great help on that point. What does astroparticle physics contribute to the unification of physics? As we have seen above, astroparticle physics encompasses matters of particle physics and problems of cosmology. From a philosophical point of view this is quite striking, for both fields of study rely on a standard model, the first being the one of particle physics, the second the one of cosmology. Though the two models have not been unified theoretically, astroparticle physics works with both of them. How it is able to do so and what role experiments play in this has not been investigated so far, though the unification problem has been an urgent matter of physics as well as philosophy [60, 62, 85, 214, 217] throughout the 20th century, beginning with Planck in the very first years of the century, when in a lecture he developed the concept of unity as fundamental for future physics . Today there are two aspects of the unification problem that are of major interest. The first is the search for the “Grand Unified Theory” or a “Theory of Everything”, that would combine at least three, if not all four fundamental forces of nature [18, 217]. The main challenge here is the unification of gravity and quantum mechanics. The other aspect is the question of the unity of physics or rather the world view it conveys , without discussing the difficulties of defining properly the meaning of “world view” at this point. Of course this is closely related to the first aspect, as the problem lies in the question of how a scientific approach being that fragmented could deliver one consistent world view at all. Finally it has even been questioned whether there is still a unity of the sciences today , whether it has actually ever existed [72, 95] and what advantages and disadvantages either unity or disunity of the sciences would bring . The analysis of astroparticle physics might help to find new ways of accessing these problems, as it seems to link the two disparate standard models. But how does it accomplish this task? Is there a common theoretical basis that helps to establish this link or is it only combined appliance in experiments? Is it possible at all that there is such a thing as a common basis or do we have to interpret astroparticle physics from a mere instrumentalist point of view as being only useful “for all practical purposes”? But if that were true, how can the research on the smallest known entities of matter provide clues about the properties of the largest objects in the universe? Maybe an analysis of the semantic unity of physics, i.e. the unity of the scale of scientific measurements would be a promising approach here [60, 61, 62]? Without some semantic and methodological unity of cosmology and particle physics the establishment of astroparticle physics would not have been possible. What are/were the conditions of theory building in astroparticle physics? Taking a look at the historical facts we see that in early cosmic-ray physics and astroparticle physics we find both continuity and discontinuity. But what caused the break in cosmic-ray studies after World War II? Was it due to external factors like the two world wars and the Cold War and the following shift of financial aid in favor of satellite-based cosmology and high-energy physics using accelerators [165, 126], that cosmic-ray studies seem to have merged into other disciplines? Or did it have internal reasons caused by a lack of knowledge about certain aspects of cosmic rays? Why did physicists in 1987 feel the necessity to “found” a new discipline instead of reviving older traditions? Most certainly these questions can only be answered after a profound historical analysis has been made. What role do experiments play in the course of the development of astroparticle physics? The question of the role of experiment is quite interesting in a philosophical context. First, it touches the problem of the general relationship of experiment to theory, i.e. whether or not experiments might falsify or support theories at all [72, 101]. Possible constructivist aspects of experiments and the conditions under which they are conducted [122, 134, 208] might also be analyzed by closely examining the case of astroparticle physics. Another aspect is the role of scientific models as a transitory state between theories and experiments [16, 87]. Finally, the discussion of realistic interpretations of experimental results [173, 69] might be fueled with new arguments when looking at the case of astroparticle physics. Moreover, early cosmic-ray studies have already proven to be a good example of the theory-ladenness of observation, as in the case of solar neutrinos being used to examine the Sun’s inner activities , or more generally, in the case of tracks of cosmic rays being observed with the help of emulsion techniques . But, whereas the role of experiment in general is on the agenda of many philosophers of science, the problem has not been discussed regarding astroparticle physics so far. That is quite astonishing as experiments, as well as observations, formed and form the majority of both early cosmic-ray studies and astroparticle physics, thus becoming the basis for particle physics . On the other hand, as a complete historical survey of the field is still pending, to answer this question would be a promising task for the future. This article has tried to give an overview of the history of astroparticle physics, taking into account its components, with some being much older than this relatively young field, which is only around twenty years old. Admittedly, the limited extent of such an article is by no means sufficient to give an exhaustive account of such an intricate and so far rather unexplored matter. Yet, it was possible to describe all the major developments that, according to our knowledge so far, were later to become astroparticle physics, while taking into account that our present view of this field may bias the historical findings a bit. Apart from this, this article reveals quite a number of open questions that remain. To thoroughly define astroparticle physics beyond simple working definitions and to clarify how far it differs from other fields in physics, like astrophysics and to define which other fields and other disciplines are really, in a strict historical sense, linked to astroparticle physics and which ones have similar scientific contents, but have developed independently. To establish a more complete historical picture of astroparticle physics and its related fields. Here two questions are of major interest. First, the individual fields that may have been predecessors of astroparticle physics, must be looked at more closely. Second, those events that led to the founding of modern astroparticle physics in 1987 need to be analyzed thoroughly. What was the reason that scientists felt inclined to found a new discipline? What role did the different means of scientific communication like conferences, meetings, publications etc… play? To take astroparticle physics into consideration in the field of philosophy of science, in order to overcome the problems caused by a lack of definition when talking about astroparticle physics, but also to give new impetus to relatively old philosophical questions, as in the problem of the relationship of theory to experiment and others. To investigate how astroparticle physics manages to cover the gap between the Standard Model of particle physics and the one of cosmology. Making visible those mechanisms in this field might help in finding tools for establishing a unified theory in physics and help philosophers to tackle the problem of the disunity of the sciences. Of course, there are many more points on the agenda, especially concerning the open questions physicists are trying to cope with. The most urgent one is certainly the problem of dark matter, but also other findings beyond the Standard Model of particle physic are to be made. For historians there is a rich corpus of material to write some very interesting chapters in the history of physics. All in all one might say that astroparticle physics still has a lot of potential to keep people busy for quite a while, no matter whether they are physicists, philosophers or historians. APOD/NASA, “Centaurus A: The Galaxy Deep Inside”, image. URL (cited on 28 February 2007): http://antwrp.gsfc.nasa.gov/apod/ap981204.html. APOD/NASA, “The Colors and Mysteries of Centaurus A”, image. URL (cited on 28 February 2007): http://antwrp.gsfc.nasa.gov/apod/ap020812.html. APOD/NASA, “Elliptical Galaxy Centaurus A from CFHT”, image. URL (cited on 28 February 2007): http://antwrp.gsfc.nasa.gov/apod/ap060704.html. ASPERA, “AStroParticle ERAnet (ASPERA)”, institutional homepage. URL (cited on 16 April 2008): http://www.aspera-eu.org/. 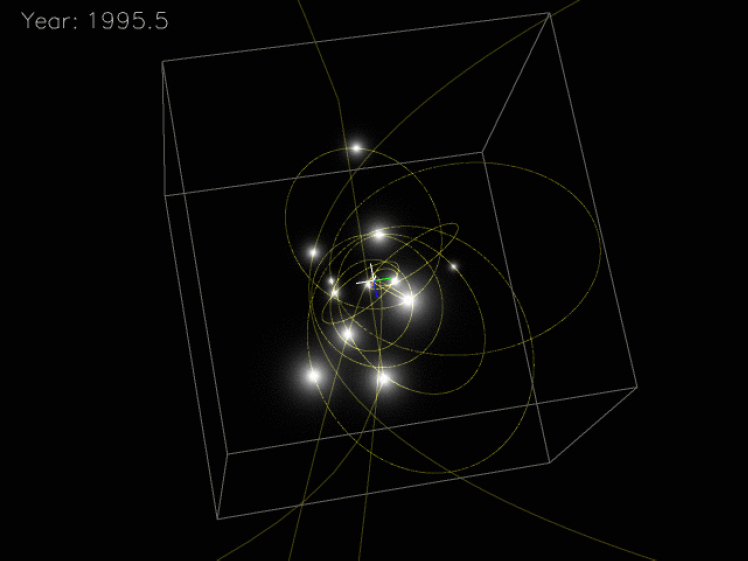 ASPERA, “Astroparticle Physics Experiments”, web interface to database. URL (cited on 16 April 2008): http://www.aspera-eu.org/index.php?task=blogcategory&id=8&Itemid=67. ASPERA Vademecum, (ASPERA, Geneva, Switzerland, 2007). Related online version (cited on 16 April 2008): http://www.aspera-eu.org/images/stories/about_aspera/Vademecum_ASPERA.pdf. BMBF, “Astroparticle physics”, institutional homepage. URL (cited on 15 October 2007): http://www.bmbf.de/en/717.php. Brookhaven National Laboratory, “Discovery of the Charmed Baryon”, image. URL (cited on 28 February 2007): http://www.bnl.gov/bnlweb/history/charmed.asp. Forschungszentrum Karlsruhe, “Astroteilchenphysik in Deutschland”, project homepage. URL (cited on 28 February 2007): http://www.astroteilchenphysik.de/. Forschungszentrum Karlsruhe, “Komitee für Astroteilchenphysik in Deutschland (KAT)”, institutional homepage. URL (cited on 15 April 2007): http://www-ik.fzk.de/∼kat/. Forschungszentrum Karlsruhe, “Virtuelles Institut für Hochenergiestrahlung aus dem Kosmos (VIHKOS)”, institutional homepage. URL (cited on 28 February 2007): http://www-ik.fzk.de/∼vihkos/. Contributions to the 29th International Cosmic Ray Conference, Pune, India, 2005 by Forschungszentrum Karlsruhe, Institut für Kernphysik, and Universität Karlsruhe, Institut für Experimentelle Kernphysik, Wissenschaftliche Berichte, FZKA 7187, (Forschungszentrum Karlsruhe, Karlsruhe, Germany, 2005). URL (cited on 11 October 2007): http://bibliothek.fzk.de/zb/berichte/FZKA7187.pdf. Ghez, A., and Lu, J. (UCLA Galactic Center Group), “Stars orbiting the Supermassive Black Hole at our Galactic Center”, project homepage, University of Chicago. URL (cited on 28 February 2007): http://astro.uchicago.edu/cosmus/projects/UCLA_GCG/. Halzen, F., “Lectures on Neutrino Astronomy: Theory and Experiment”, (1998). URL (cited on 04 March 2007): http://arXiv.org/abs/astro-ph/9810368. Harvard-Smithsonian Center for Astrophysics, “The NASA Astrophysics Data System”, web interface to database. URL (cited on 28 February 2007): http://adsabs.harvard.edu/. IN2P3, “Astroparticle Physics European Coordination (ApPEC)”, institutional homepage. URL (cited on 28 February 2007): http://appec.in2p3.fr/. Lawrence, E.O., “Method and Apparatus for the Acceleration of Ions”, image, United States Patent and Trademark Office (USPTO). URL (cited on 5 March 2007): http://patimg2.uspto.gov/.piw?Docid=01948384&IDKey=7A603F6F15A9. Lorimer, D.R., “Binary and Millisecond Pulsars”, Living Rev. Relativity, 8, lrr-2005-7, (2005). URL (cited on 16 April 2007): http://www.livingreviews.org/lrr-2005-7. NRAO, “History of Radio Astronomy”, online resource. URL (cited on 28 February 2007): http://www.nrao.edu/whatisra/history.shtml. Radboud University, “LOPES: A LOFAR Prototype Station”, project homepage. URL (cited on 28 February 2007): http://www.astro.ru.nl/lopes/. Schmitt, J. et al. 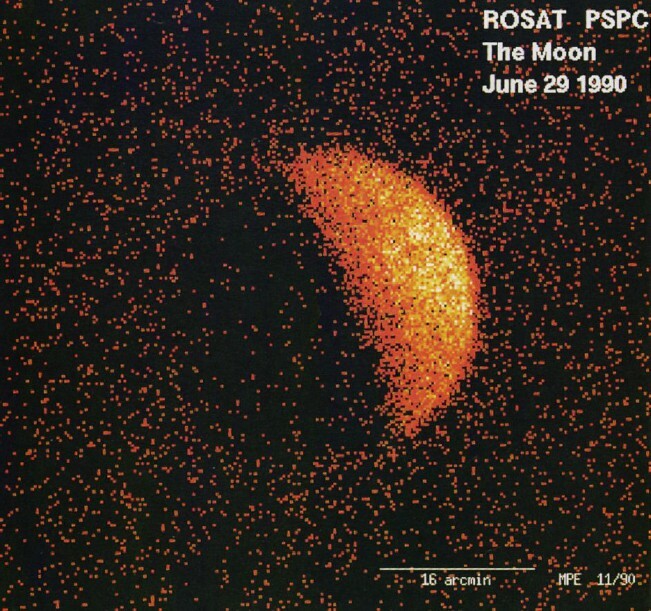 (ROSAT Mission), “X-Ray Moon”, image, APOD/NASA. URL (cited on 28 February 2007): http://antwrp.gsfc.nasa.gov/apod/ap031004.html. Slane, P., “3C58: Pulsar Power”, image, APOD/NASA. URL (cited on 28 February 2007): http://antwrp.gsfc.nasa.gov/apod/ap041223.html. Stanford University, “SPIRES HEP: High-Energy Physics Literature Database”, web interface to database. URL (cited on 28 February 2007): http://www.slac.stanford.edu/spires/. Sumner, T.J., “Experimental Searches for Dark Matter”, Living Rev. Relativity, 5, lrr-2002-4, (2002). URL (cited on 16 April 2007): http://www.livingreviews.org/lrr-2002-4. UNAM, “30th International Cosmic Ray Conference (ICRC 2007 Portal)”, project homepage. URL (cited on 15 October 2007): http://www.icrc2007.unam.mx/. University of Wisconsin-Madison, “IceCube Neutrino Observatory”, project homepage. URL (cited on 28 February 2007): http://icecube.wisc.edu/. Weiss, M. (NASA/CXC), “Illustration of Quasar Jet”, image, Chandra X-ray Center. URL (cited on 28 February 2007): http://chandra.harvard.edu/resources/illustrations/quasarJet.html.